Freedom Health Inc. is a niche healthcare company offering Medicare Advantage policies to seniors in the state of Florida. The Tampa-based company is certified as a qualified Medicaid and Medicare Advantage provider under federal guidelines set forth by the Department of Health and Human Services. Freedom Health only operates within the state of Florida. Online health insurance quotes are currently available by simply entering your zip code into our search tool below. Because Freedom Health only deals in Medicaid and Medicare policies, all of their products are offered in conjunction with an existing Medicare or Medicaid contract. In other words, in order to qualify for a Freedom Health plan an individual must already be covered under Medicare Part A and Part B, or a Medicaid policy. 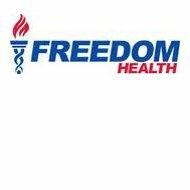 The coverage offered by Freedom Health is a supplemental coverage provided in conjunction with existing government health insurance policies. Both Medicare and Medicaid can be somewhat confusing and convoluted at times. Because of the myriad of circumstances and conditions, which exist within these two programs, Freedom Health offers a long list of products aimed at meeting specific needs. All of their products are listed on their website along with some measure of detail. However, in all likelihood new customers will need the assistance of a representative or a local agent in order to determine which options are best for them. Freedom Health does work with a network of local agents and brokerages. Unfortunately, they do not provide a means on their website for locating an agent in your local area. You will need to contact the corporate office or visit one of the local offices listed below to get that information. If you are an agent or broker, the website does offer a link where you can access agent tools or sign on to become a certified agent. Freedom Health Inc. makes its home in Tampa, Florida. Their website provides directions and maps for each of the sites to help customers find them more easily. As a health insurance provider primarily to senior citizens and those with disabilities, Freedom to Health understands the need to maintain a healthy lifestyle in order to keep health care costs down. They encourage a healthy life style among their members in several ways. One of them is through partnering with local health clubs to provide reduced-cost memberships. In addition, subscribers are invited to attend health and wellness seminars covering everything from hurricane preparedness to nutrition to pharmacy FAQs. Freedom Health likes to check on subscribers personally to see how they are doing. Subscribers receive phone calls on an occasional basis just as a courtesy to check on their overall health, their insurance needs, and their satisfaction with the policies they currently have. This extra measure of customer service is one of the things that make Freedom Health a bit different from other Medicare Advantage providers. Finally, customer service is clearly demonstrated through the Freedom Health website. Right from their home page current subscribers can locate providers in their area, browse new policy offerings for the current fiscal year, place orders for diabetic supplies, check medications as to whether or not they covered, and access a list of online tools designed to answer questions and encourage a healthier lifestyle. As a Medicare and Medicaid provider, claims service is provided in the same way as any other similar insurance product. In most cases, members simply pay their premiums and are then responsible only for their co-payments at the time of service. By showing their membership card to their doctor’s office, pharmacy, or other healthcare organization, they are able to procure the treatment they need while the service provider bills Medicare or Medicaid directly. There may be some extenuating circumstances in which the subscriber must pay for services or equipment out-of-pocket, and then file a separate claim. In such an event, your claim will be processed by Freedom Health and reimbursement check sent to you in the mail. Exactly how long this process takes depends on the nature of the claim and the reason behind your having to file it yourself. If you are looking for competitive health insurance rates online, why not begin your search by entering your zip code below? We’ve been with Freedom Health for about 3 years and have been very pleased with their plan and participating doctors. Each year they see where improvement can be made and they make it. I believe they listen to the participants. They even remind you of everything you need for the conditions you have.Wonderfully patient and kind and continually improving. The best! What a pleasant surprise: an insurance company that really cares about you! We could not ask for better care. They follow you and your needs. If they feel you are missing something, they contact you so you can discuss it with your physician. My husband and I both were registered nurses. Our insurance (for a tidy sum) was provided by the hospital we worked for, and it was good, but could not touch Freedom for service! BEWARE of your long-term benefits. My mom had a stroke a month ago and, after only 12 days in a skilled nursing facility for rehab… with only 9 hours of therapy provided… they sent the facility a letter saying they were not going to pay for services anymore. She would be discharged three days after notification. How can ANYONE determine someone’s progress after only 9 hours of therapy!? Up until this event, she was satisfied with this company. The sign-up and help getting started on this plan have been great.. Attended a free seminar and was promised a gift card. Over a month and still have not received it. If they can not honor a simple commitment like this why would I trust them with anything else? Maybe management does not trust its sales people as other insurance companies hand them out at the seminar. Don’t make an offer if you won’t honor it. The previous reviews are a crock. They were probably written for these people by Freedom since they follow the same pattern “always getting Better?? ?” absolute BULL! Freedom has made me and my wife dump our doctors and sent us a new membership card saying here is your new doctor. They have also given our personal information to the new doctors without our authorization. Giving us doctors that didn’t attend American Medical Schools. During this time my doctor had his attorney contact Freedom and ask if he could continue to treat a small number of patients with critical needs, me among them, some of whom were in the hospital. He said he would take any compensation they determined. He just needed to see them through their current crises which would last one month for most patients. Freedom absolutely refused for ALL the patients. This proves that Freedom does not care for its insureds. They have also eliminated the YMCA we go to as an exercise center. They are lousy Do not buy Freedom insurance. Their Cust Serv people are incompetent and hardly speak English. Freedom just does not care about you. In past years I recommended several members to join, now it is the opposite since service is worst overall excluding one Dr. whom also could not tolerate the problems and no longer is a provider with you). THANK YOU ALL. BLESS YOU THANKS TO KEN, JANET, MARKIS ALL OF YOU AT FREEDOM! DO HELP AND GET THING DONE! KEEP UP THE GOOD JOB YOU ALL DONT GIVE UP.YOU ALL SHOW ME AND MY NOT TO GIVE UP AND MY WIFE AT FREEDOM THANKS. The first year my wife had the plan everything was great. She was quite healthy, and the only negative was that the doctors from which she had to choose were mostly or all foreigners. Not that it meant they were bad doctors, but understanding foreigners can sometimes be difficult. When calling various specialists it turned out that a lot of providers has dropped out. Frankly, several providers’ staff members groaned when they found out she was with Freedom Health. Also, there are no emergency clinic providers—emergencies had to be dealt with by going to a hospital ER. The next year my wife got cancer, and that’s when I discovered how awkward their system was. Every request for a specialist must be submitted to the PC (primary care) doctor who, in turn, sends the request to Freedom, who then responds to the PC doctor who then must send the response to the specialist. In her case either the PC doctor’s office seemed not to be very good about sending in the request or Freedom took a long time getting back about approval or denial. There was a great deal of waiting, and the PC doc’s office staff would always say the same thing: we sent in the request but we’ll fax it again. Same deal for the oncologist requesting permission for chemotherapy. So my wife had the specialists’ offices calling her to say there had been no authorization and it was up to her to call the PC doc’s office to get it sorted out, which often times was very stressful for her. Frankly, several providers’ staff members groaned when they found out she was with Freedom Health. In one case my wife was denied getting an important genetic test that would evaluate how her cancer is likely to behave and respond to treatment. It’s an OK plan if you stay healthy, but that gets less and less likely as the years go on. Will be looking for a better plan for her in the fall. It is hard to imagine a worse supplemental insurance company than Freedom. The customer service is pathetic indeed. In fact, at this moment I am waiting for a call from member services that was promised two days ago. I’m on my 4th Primary Care Physician because the first three were so inept. Specialists adequate if one can get to see them but I have been through 2 primaries this year and I have never seen such ineptness. I had 30 years in the Medical field and for the first time in my life, I do not feel I am receiving adequate care. Needless to say, I must say this plan would be fine for the healthy but for us with chronic conditions I would recommend moving on. If I could have found a good primary I probably would feel differently. My current Doctor does not even want to refer or order tests relative to my conditions. 3 years in a row we were promised new primary care doctors and again that 2016 plans no new primary care doctors they left us with only one primary care doctor in Vero Beach. They raised the tier 3 drugs from $75 a month co-pay to $95 who can afford that the primary care doctor office they left us with is awful I had to go get my own referral and take it over to the other doctor several times I was in there people were coming in because they didn’t get their referral sent over to different places they weren’t getting their prescriptions done. I am happy with Freedom. I had a hysterectomy this year, cataract surgery, and a leep. The Dr. That did my hysterectomy was wonderful, no pain and quick recovery. The same goes for my cataract surgery, great Dr. And it went well. Before the hysterectomy, I had to have a leep. I went in and it was started with no anesthesia, I made the Dr. Stop it was too painful. She said that anesthesia was not given for this by insurance co., I read up on this and yes no insurance co. Gives anesthesia for this. The Dr. Called freedom and said this had to be done. I called and explained that it was too painful without anesthesia. Freedom had a portable anesthesia come to the office for the procedure and it was done with no pain. I hope Freedom keeps up the good work, I feel that I had excellent medical care. The service provided by the company is a whole lot less than state of the art when it comes to my ability to view and manage my information online. They seem to be stuck in about 1995! The customer service agents on the phone appear to be pretty disinterested in what they are suppose to be helping me with, although I have on one occasion gotten an agent who was pleasant, competent and concerned. But that once out of six calls. The Member Portal is a joke. And the mail-order pharmacy needs to be replaced: their website is close to worthless and couldn’t even make it to the ranking stage of user friendliness. Finally, the OTC benefit is a nice idea. Too bad the choices are such low-end generics and/or such small quantities. I ordered some simple things my first month with Freedom Health to see what kind of products they would send. I would do better with Family Dollar brands and if I had to depend on their Melatonin to sleep at night, I’d be seriously sleep-deprived. An important saving grace in my case is that I picked a Primary Care Physician who seems competent and who takes time to ask important questions and listen carefully to the answers. I wish she were an MD instead of a DO, but perhaps that less important as a PCP than if she were a specialist. Unless things improve with the company (and it appears from reading these reviews that things are actually getting worse), my first year with Freedom Health will also be my last year with Freedom Health. All the above is so true. You are better off going to a veterinarian, you will be cared for and treated better than freedoms choice of PCP. OTC is useless. several PCP that ACCEPT Freedom have low mentality office staff, that lack in manners and professionalism. Since with freedom medical records are ludicrous. False and inaccurate. Pcp double dipped. Experience them for yourself, you will regret. Freedom Life Insurance when I joined promised me instant coverage with my first credit card payment. I received my health insurance card about two weeks later. In another two weeks, I decided to go tp mt doctor for a physical. I received a bill from Freedom telling me that I wasn’t covered yet. It was only 173.00. Then they sent me a discount prescription card. when I went to fill my prescription the pharmacist said that the card made my prescription more expensive. I called their company only to be told that I wasn’t covered for the physician visit. I was further told that it didn’t adhere to the standards of the “affordable care act. I have filed with the Federal trade commission and federal agencies. Freedom out and out lied to me. Run for your life before signing with them.